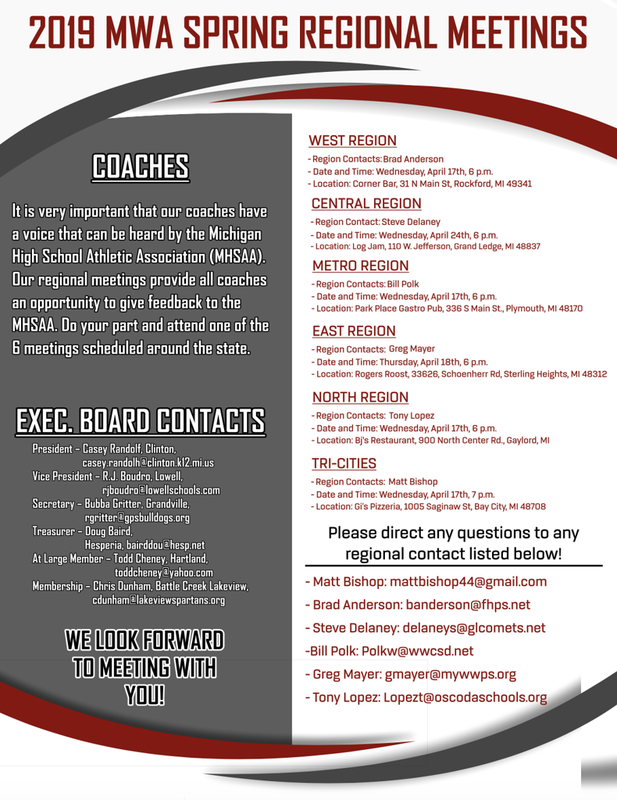 The 3rd Annual MWA Spring Regional Meetings will take place over the course of the next two weeks in various locations around the state. The meetings serve as a place for all coaches to give feedback, share ideas, and collaborate with one another in hopes of continuing to improve the sport and evolve as a state. The six locations, dates, and times are listed below as well as the contact information for the individuals who are hosting the events.